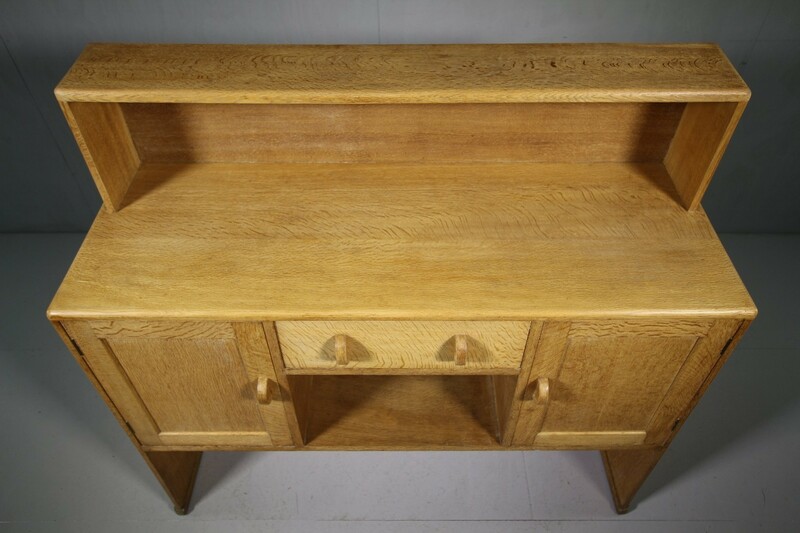 1930's Heals Of London Oak Dresser - Labeled. 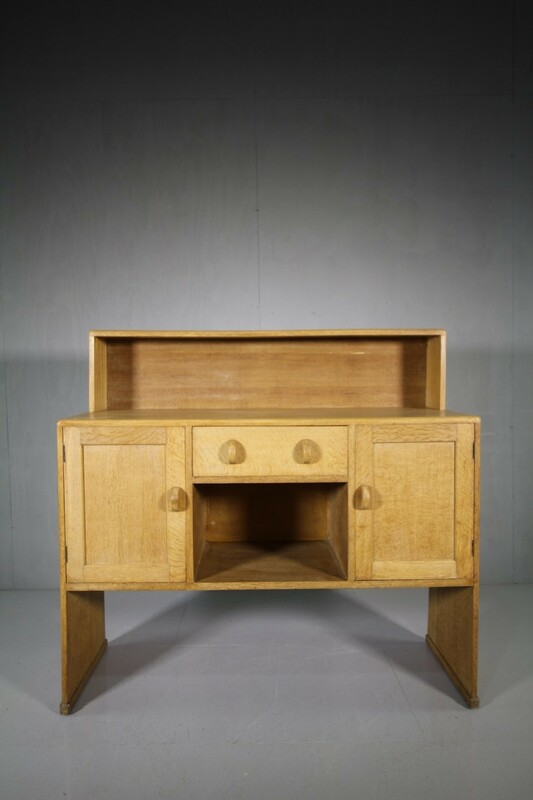 A solid, pale oak dresser by Heals of London in the thirties. 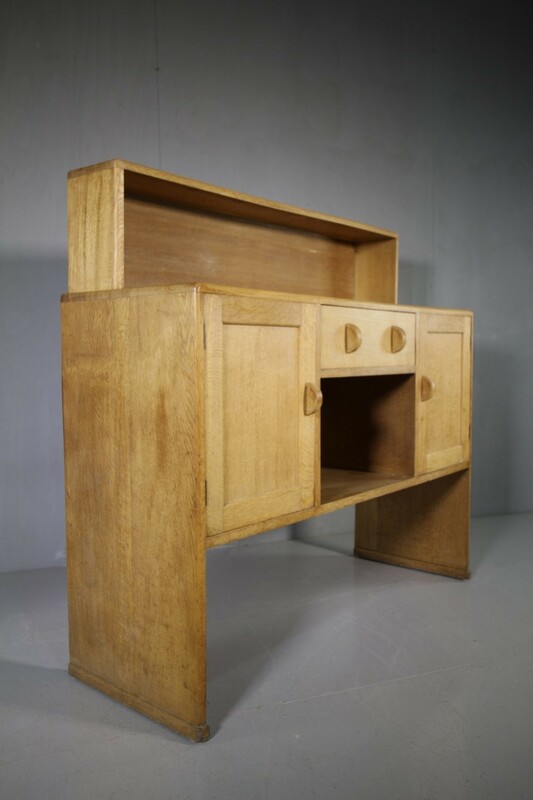 A simple design and very good quality. 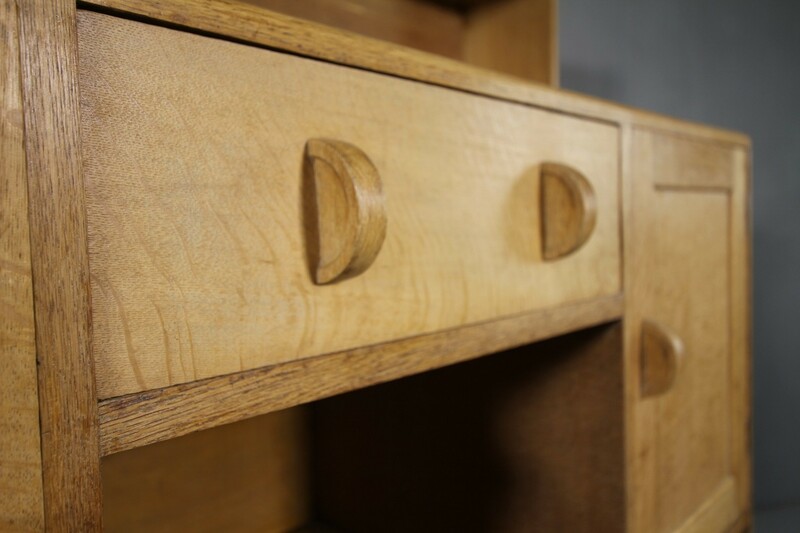 This Heals oak dresser has a shelved back, two cupboards either side of the single drawer which features the inset Heals makers label. 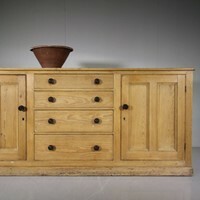 the drawer runs smoothly and has the orignal semi circular oak handles, as do the cupboard doors. 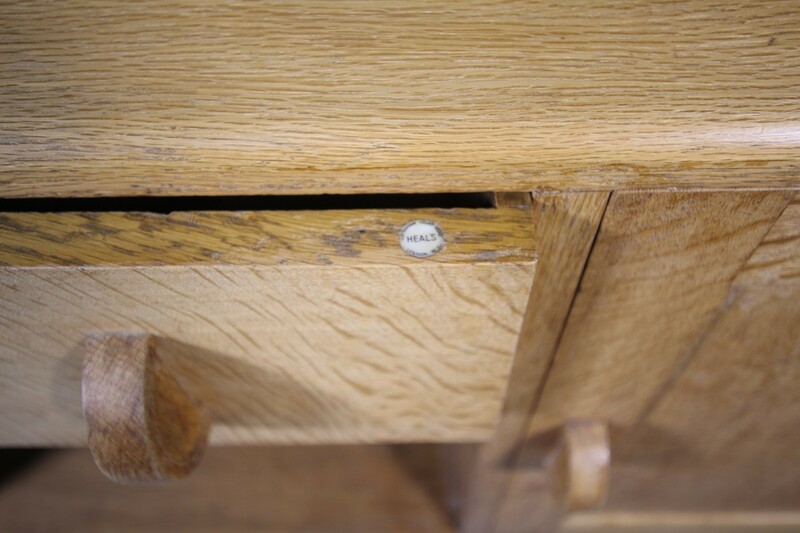 Beneath the drawer is an open display space. 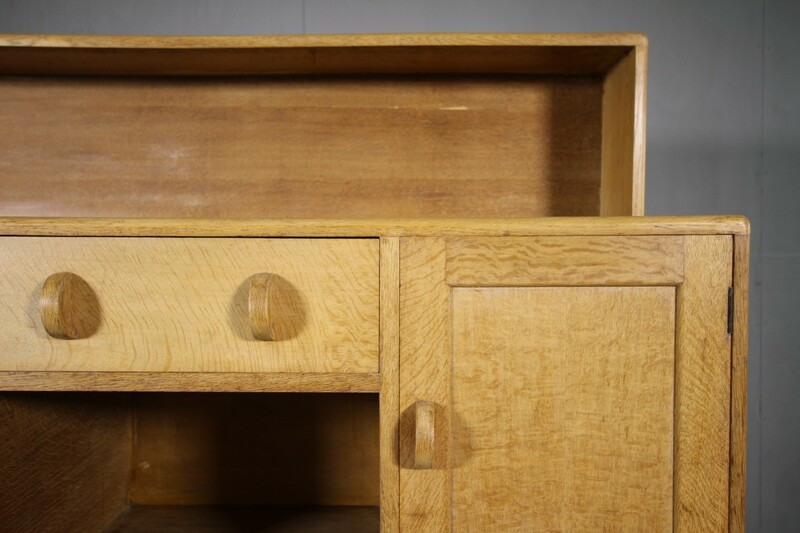 All in very good, strong and clean condition.